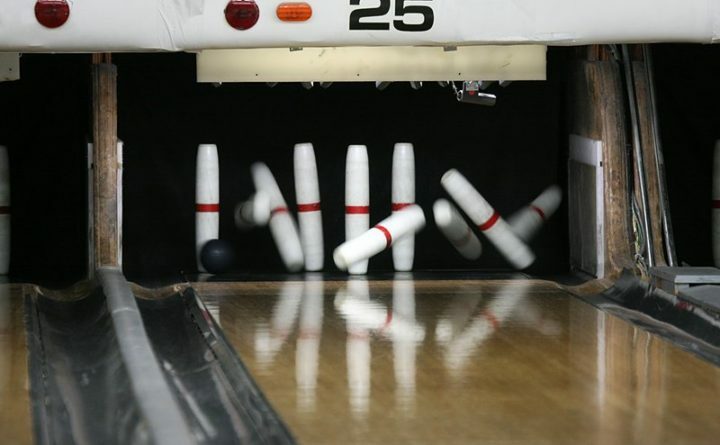 Candlepin bowling is a beloved tradition in New England. BRUNSWICK, Maine — When the nearly 80-year-old candlepin bowling alley Bowling Bowl closed its doors earlier this year, Brunswick buzzed with concern that the decades of daily leagues — both kids and adults — had come to an end. Instead, after renovations and a change of menu, the bowling alley on Dunlap Street — along with a new Tex-Mex restaurant, Bolos — is slated to open by the end of the year, co-owner Joe O’Neil said last week. Among those who heard the news with relief was U.S. Sen. Angus King, I-Maine, of Brunswick, a longtime candlepin bowler and member of the Cabin Fever Bowling League, a winter league of bowlers from the Bath-Brunswick-Freeport area. 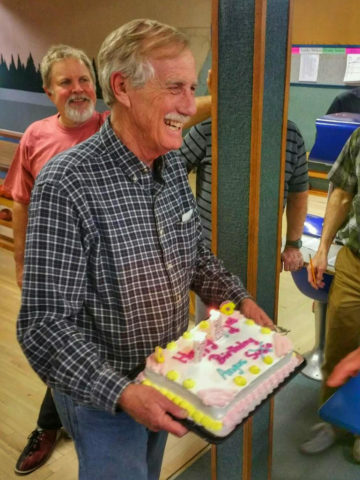 U.S. Sen. Angus King, I-Maine, of Brunswick, celebrated his birthday in March 2016 at the Bowling Bowl in Brunswick. The bowling alley, now under new owners, is undergoing renovations and will reopen by the end of the year with two fewer lanes, but with a new TexMex restaurant, Bolos. King and his wife, Mary Herman, took their children to the bowling alley for birthday parties and, in March of 2016, King celebrated his birthday there with his league members. Bolos — Spanish for bowling — is owned by O’Neil and Michael Jerome, who also co-own Portland Pie on Maine Street in Brunswick. O’Neil was the chief operating officer of the larger Portland Pie company before the brand was licensed, he said. But Bolos, which received its liquor license on Oct. 15, is a separate venture, and Portland Pie will remain as-is a couple of blocks away on Maine Street. Already under construction, two lanes of the alley will be removed to allow for tables. Tex-Mex, just about the only ethnic food not already available in Brunswick, is a fusion of Mexican and American cuisines including such common dishes as nachos, tacos, fajitas and chili con carne. Town records don’t indicate when the building was constructed, but in 1960, the Knights of Columbus purchased it and ran it as a private bowling alley for members and guests. After a night of bowling, they’d adjourn to a local tavern to discuss who bowled best, he said.